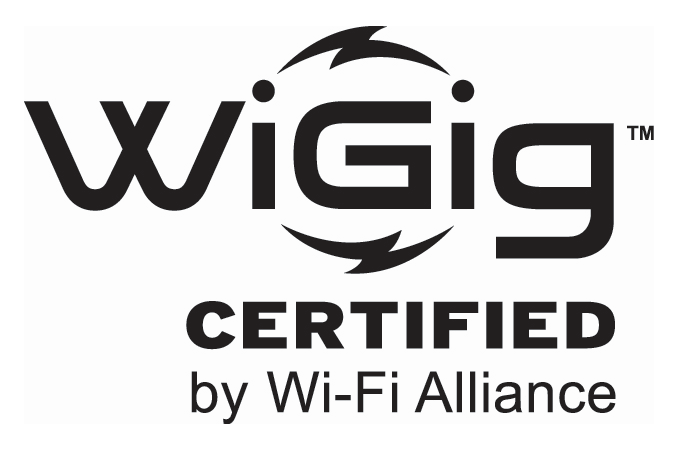 The Wi-Fi Alliance this week began to certify products featuring wireless modules compatible with the 802.11ad standard (aka WiGig). The certification will help to ensure that all WiGig-branded devices, which have been around for some time, can flawlessly operate with each other and deliver expected multi-gigabit performance over 60 GHz spectrum. 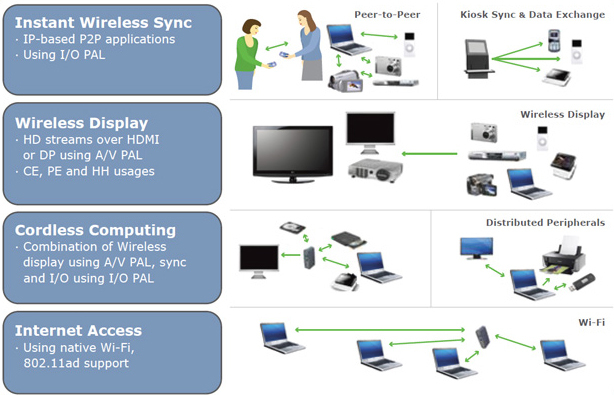 The WiGig technology (IEEE 802.11ad) is a short range communication standard that enables compatible devices to communicate at up to 7–8 Gb/s data rates and with minimal latencies, using the 60 GHz spectrum at distances of up to ten meters. Since 60 GHz signals cannot penetrate walls, the technology can be used to connect devices that are in direct line of sight. Given the limitation, WiGig cannot replace Wi-Fi or even Bluetooth, but it can enable devices like wireless docking stations, wireless AR/VR head-mounted displays, wireless high-performance storage devices, wireless displays, and others devices which need a lot of bandwidth. To date, Intel and Qualcomm have released several tri-band chipsets that support the 2.4 GHz, 5 GHz and 60 GHz spectrums as well as Wi-Fi, Bluetooth and WiGig technologies. The Wi-Fi Alliance has already certified Intel’s Tri-Band Wireless 18260 (Maple Peak) and Qualcomm’s QCA9500 802.11ad-compatible chipsets as well as multiple devices that use them (including Dell’s Latitude E7450/70 as well as 802.11ad 60 GHz USB adapters from Peraso and Socionext). Going forward, the organization will certify other products, including smartphones and docking stations. It should be noted that the start of WiGig certification on its own isn't going to be the catalyst to cause WiGig adoption to take off, but it will increase chipset developers', device makers', and end users' confidence in the standard. Designers of Wi-Fi chipsets and manufacturers of actual systems have been reluctant to adopt 802.11ad so far because the infrastructure is absent and so is demand, a classic chicken and egg dilemma. With the official certification process things will likely get a little better, mainly because of added confidence. Meanwhile, analysts from ABI Research believe that 180 million of WiGig-enabled chipsets will ship inside smartphones already next year with 1.5 billion WiGig devices shipping in 2021. Image Source: Blu Wireless Technology. close, if you have anything better or equal to Wireless-N equipment you should not be having a problem reliably streaming movies from the internet to your TV unless your internet speeds before they hit your router are not up to par. We already have broadband internet everywhere except in the uber-boonies in this country or what the feds define as 'broadband internet'. But that would require Congress to turn down the (no doubt) large "political contributions" they receive, from those very same monopolistic internet service provider companies (cable, phone, satellite, etc), that are paid to ensure they don't meddle in their business, wouldn't it?